This partially burned log is sitting on the ground. 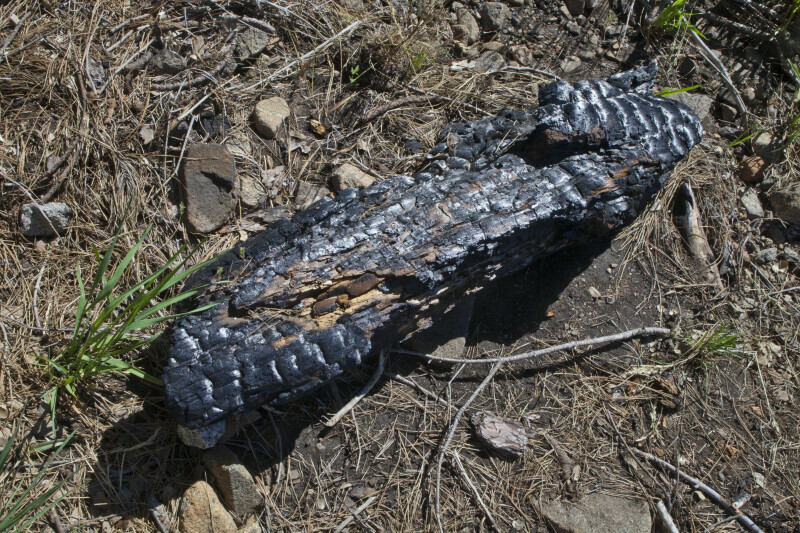 This log evidences that there has been a fire in the area. WARNING: You are about to download a 43.9 MB TIFF!